Can you read my hand please, especially my life line. Thank you! Hello, I wanted to know about my life line on my hand it is kinda short. I am 27 years old and I use my right hand. I would be glad if someone would tell me what it means. Thanks so much. 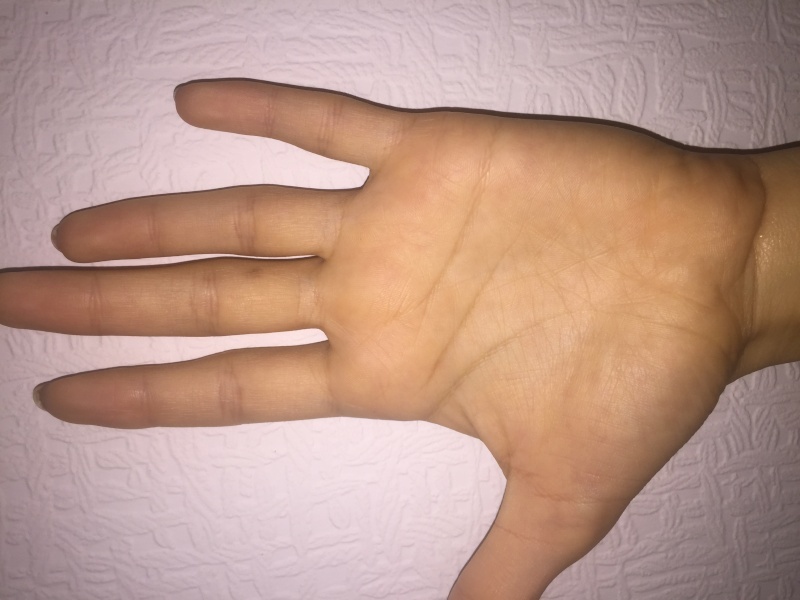 Re: Can you read my hand please, especially my life line. Thank you! 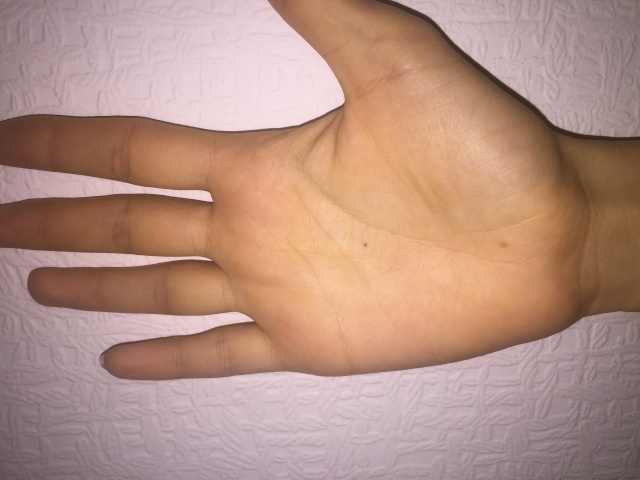 I uploaded my right and left hand, thanks for the help. Please be assured that the length of life lines is normal. I agree with rajeevkrsharmaji , the lifeline is not short. On right hand it divides (though I am not sure if the fork going towards ulna side is joined to the main line?) which is traditionally known as a "travel fork". It can represent a decision later in life to make changes, especially with regard to location. The fork that goes around the thumb is more attached to family, home, culture etc, whereas the other fork is more adventurous to explore other places! Thanks for The answers, very kind. Yes I lived for 7 years in Germany for more then 10 years than I moved from there. What do you see in my heart line? So my life line is not short ?! But why is on my one hand (right one) shorter than on my left hand ? Your life line is not short at all and it indicates love for travel. You may go far away from where you were born and settle down there. Heart Line is short in the right hand for your emotions have changed as you became and adult. More of Self in matters of emotions. Nilufar.m wrote: Thanks for The answers, very kind. Yes I lived for 7 years in Germany for more then 10 years than I moved from there.